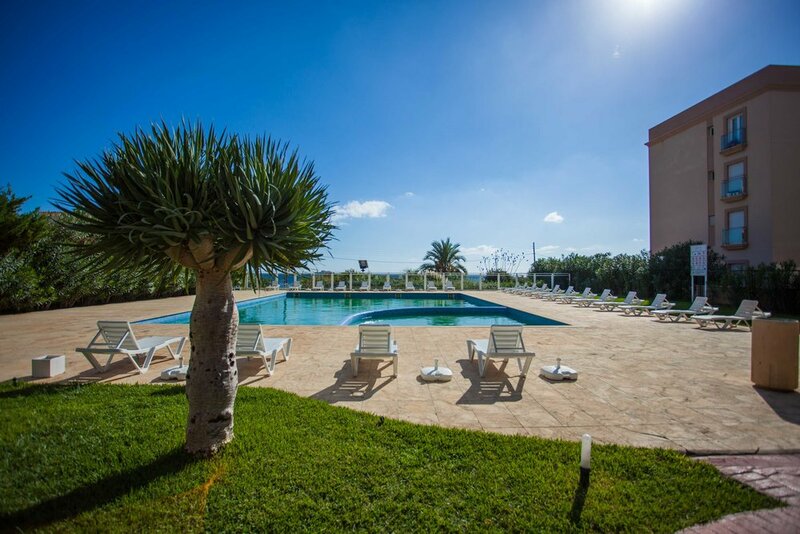 This is the Bossa Sol 1-2-4 apartment summer season rental page of Apartments in Ibiza. Your perfect place for Ibiza apartment sales and rentals. We have been selling and renting apartments and villas on the beautiful Balearic island of Ibiza since we were established in 2003. 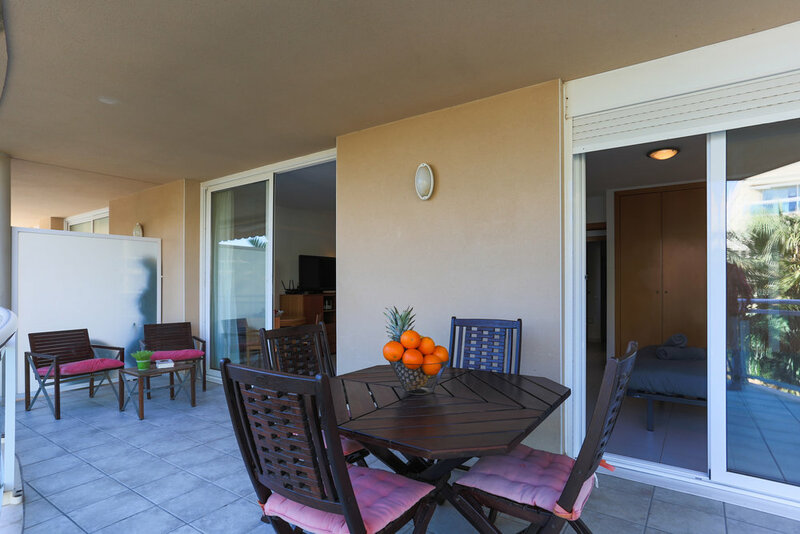 Fantastic two bedroom, two bathroom apartment in the Bossa Sol apartment complex. Available from mid April to mid October, 2019. 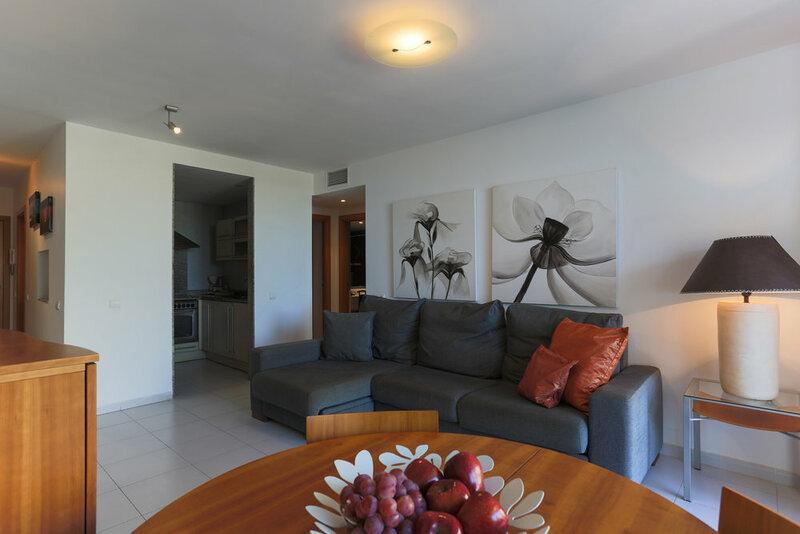 This fully air-conditioned, stylish and spacious two bed apartment is located directly on the beach. It is beautifully furnished in a modern, contemporary style. Step through the large sliding glass doors in the lounge and dining area onto the terrace. 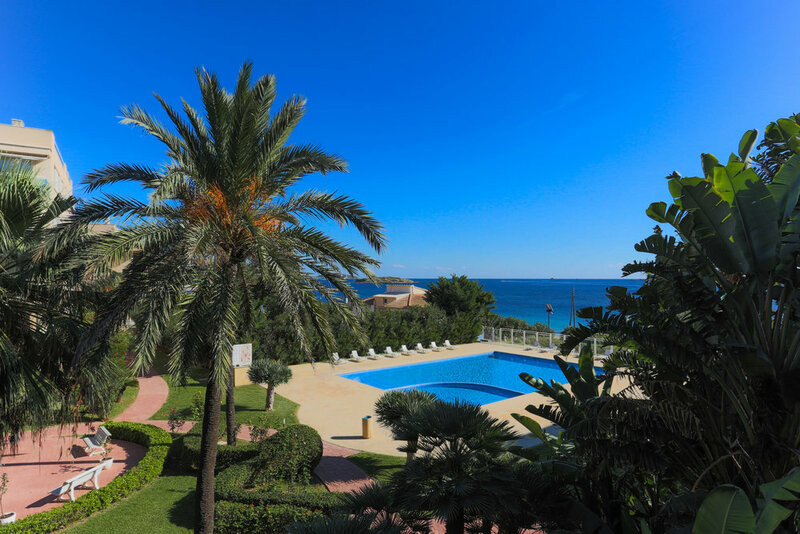 From there you have fabulous views of the garden, pool, beach and sea with the Dalt Vila in the near distance. 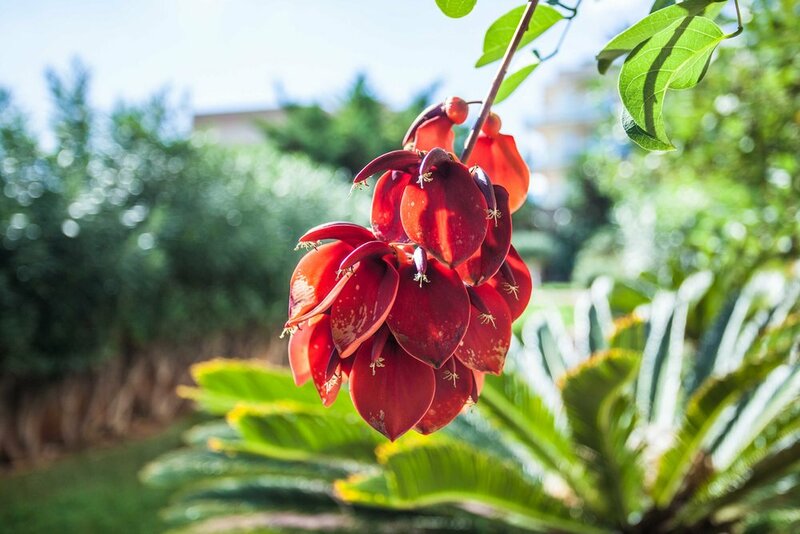 You can eat al fresco at any time of the day, sunbathe or relax in the shade. The choice is yours. For your entertainment there is an HD TV and wireless broadband is available. The property is fitted with a completely modern kitchen that has a ceramic hob, grill and oven as well as a kettle, fridge freezer and microwave. In fact there's everything you need to cook the perfect meal. Both of the bathrooms have power showers with the master bathroom having an additional bath. Also provided is a washing machine and tumble dryer. The intercom entry system gives both peace of mind and convenience. The property is available from mid April to mid October, 2019 for €1,500 pcm and an agency fee of €1,000. A security deposit of one month is also required. All bills including electricity, water and internet are extra. If you have any questions about this apartment, or would like to reserve it, then please contact us via the enquiry form below.